I still remember exactly where I was when I first heard of the paisley one, Prince. 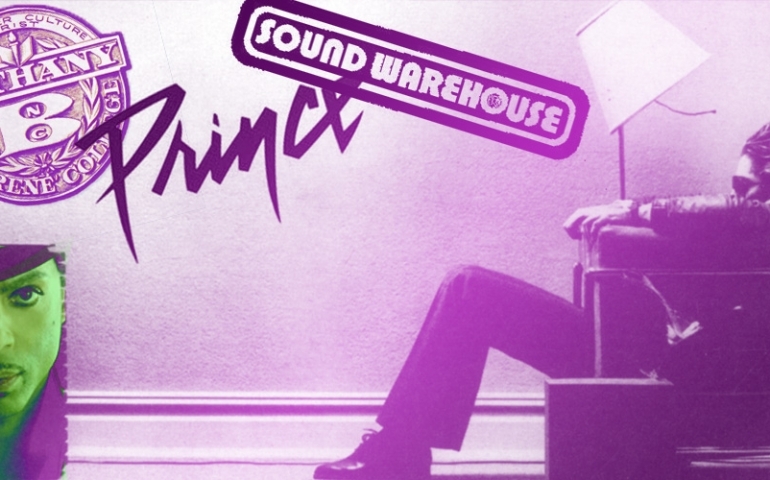 Most of my BNC (now SNU) contemporaries will remember the Sound Warehouse store located at 39th and MacArthur, just a few blocks from the campus. It was my favorite place to spend almost any evening or weekend. As I was scanning through the 3 for $10 bins one evening, looking for my next treasure to spin on my Technics turntable, my friend, Darren Stone, approached me with an album and said, “Have you ever heard of this guy?” On the cover was this strange looking man who wore copious amounts of eyeliner and had this piercing stare that frankly horrified this naive 18-year-old kid. I’d like to say that I immediately purchased the album and that began my fascination with Prince. However, it was a year later before another BNC alum, Darrell Blythe, forced his way into my room and put the 1999 album on my turntable for a listen. I had the best stereo among my quad-mates and so any new musical acquisition was initially blasted in my room. As Darrell turned up the volume dial, the opening chords of Little Red Corvette struck my ears and I was changed. This was something very different. And I liked it. This was also at the dawn of MTV and so not only was I hearing something different, but through this new artform known as the music video, I also got to see something very different. And as different as it was, I knew there was something about it that was special. No doubt the influences of the greats that came before him like James Brown, Jimi Hendrix, George Clinton and Marvin Gaye are ever present in his music. But Prince took it to another level and made those influences known to a new generation. Since those days in college, Prince’s music has been my go to standard. If MP3 files ever wore out, my copy of Ultimate Prince would have long ago been rendered unplayable. My VHS tape of his concert film, Sign O the Times, finally did go out and only recently did I find a DVD of the film with liner notes written in Portuguese because I had to order it from Brazil. Anyone who has played fantasy football with me will testify that on draft night as I pick my first pick each year, I play Purple Rain in the background. Why? you ask. Because I named my fantasy team, the Purple Reign. How fitting in this year that Prince died, the Purple Reign finally won it all. Some of my daughter’s friends actually refer to me as Prince. I want to believe it’s a moniker of endearment and even if it is intended more as mockery, I take it as an undeserved honor. One of my greatest joys in fact is listening to my daughter sing along whenever she’s in my car and I play Raspberry Beret. I’m not one to elevate celebrities to hero status. And I would not say that this man, with all his eccentricities, would be numbered among my heroes. But in this forum, I just wanted to write a few words to acknowledge someone who I believe was a true artist…the artist FOREVER known as Prince. 1999 funk George Clinton James Brown JIm Smith Jimi Hendrix Marvin Gaye Prince Purple Rain Purple Reign Raspberry Beret true artist What if God was One of Us? Prev PostWhat Do You Think About Cultural Appropriation?